We know that lots of families on RoosterMoney are passionate about supporting charities. Getting your kids into Giving can be a great opportunity to get them thinking about the causes and issues they are really passionate about supporting and looking at what impact their donations will have. 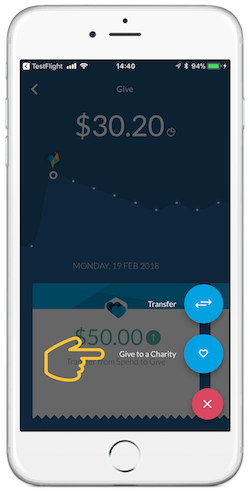 We’ve now made it easier to track giving contributions and make a donation through the app! 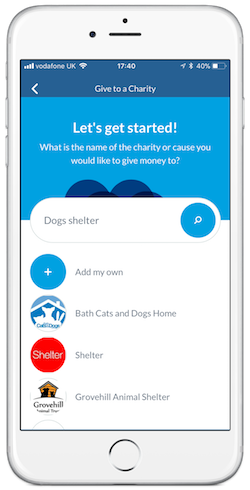 With this update (v3.11.0) kids can now search for causes they are passionate about supporting and make a donation request once they’ve saved their desired amount. As a parent, you no longer have to keep a mental reminder to make the donation! 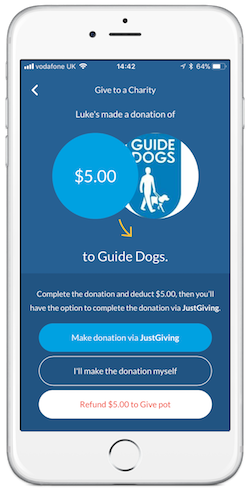 Instead you now have the option to make a donation directly to their cause, if they are one of the 25k+ charities hosted on JustGiving. They choose the amount they’d like to give and send it to you for approval! For causes that have been added by your child, you won’t receive the JustGiving option, but can still confirm the donation as being made for your child. And if you think your child’s not ready to make the donation yet, you can refund the amount back to their Give pot!